June 17th marks the 70th anniversary of the day in which Portuguese Diplomat Aristides de Sousa Mendes decided, against the explicit orders to the contrary, to follow his conscience and give visas to those trying to escape the horrors of the Holocaust. By doing, so he saved around 30,000 people in only a few days and forced open a new escape route to freedom to many others during WWII. This year, which also marks the 125th anniversary of Sousa Mendes’ birth, special Thanksgiving Masses and Services in Synagogues will be held around the world -from Rome to Newark, Sao Paolo, Paris, Bordeaux, Lisbon, Buenos Aires, and many more- following the initiative of the International Raoul Wallenberg Foundation (IRWF) and the Angelo Roncalli Committee. While paying tribute to the man who stated that he ”would rather be with God against men than with men against God,” these services not only speak about Sousa Mendes, but also focus on all the others diplomat rescuers -such us Raoul Wallenberg, Luis Martins de Souza Dantas, Carl Lutz and many others- whose actions saved the lives of ten of thousand persecuted by Nazism. Because only a few of these diplomats are well known -and even those ones are seldom remembered- this is meant as a ”Thanksgiving and Recognition Day” of all diplomat rescuers of WWII. Masses will be held in Rome, Italy, by Cardenal Renato Martino, Cardinal William Levada, and Cardinal Claudio Hummes; in Paris, France, by Cardinal Vingt-Trois; in Bordeaux, France, by Cardinal Jean-Pierre Ricard; in Montreal, Canada, by Mons. André Desroches, C.S.S; in Newark, US, by Bishop Edgar Moreira da Cunha. Masses will also be held in Lisbon, Portugal; Brooklyn, NY, USA; Salvador de Bahia and Fortaleze in Brazil, and San Francisco, USA. Synagogue services will be held in Paris, France, by Grand Rabbin René-Samuel Sirat; in Sao Paulo, Brazil, by Rabbi Michel Schlesinger; en Rio de Janeiro, Brazil, by Rabbi Dario Bialer. 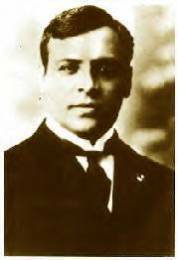 In Argentina, on 17 June, Monsignor Oscar Sarlinga, Bishop of Zárate-Campana, will comment on Sousa Mendes’ personality and feats in three radio programs. On 18 June, in Buenos Aires, Rabbi Simón Moguilevsky will pay tribute to Aristides de Sousa Mendes during the ceremony of the Kabbalat Shabbat, traditional Minyan, at the Synagogue of the ”Congregación Israelita de la República Argentina”. Furthermore, the Portuguese savior will be remembered on 19 June by Rabbi Felipe Yafe at the ”Comunidad Beth Ilel” temple.